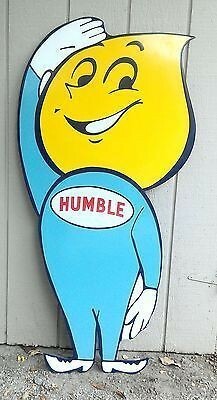 This 42″ by 24″ sign is a die cut porcelain sign that shows the Humble man. The head of the man looks like a lemon drop, for reference. The sign is yellow, white, and light blue.